I am a 1990 alum, and couldn't have been prouder of the Ramblers journey in the NCAA tournament this spring! 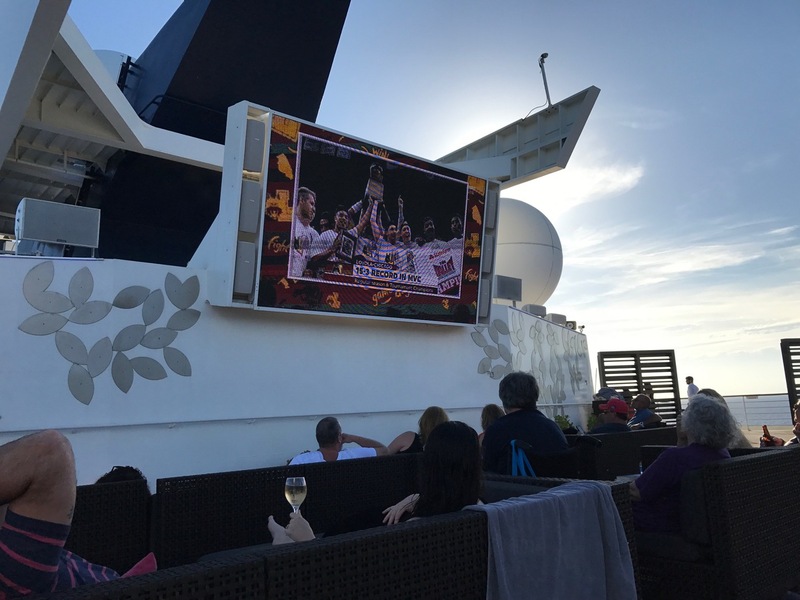 This Final Four pic was taken at a watch party on a Celebrity Cruise ship in the Caribbean at sunset. You'll be happy to know, 98% of the attendees were rooting for Loyola. BTW, Sr. Jean is a gem..couldn't get enough of her. kroth4904, “Celebrity Cruise Final Four Watch Party,” Loyola University Chicago Digital Special Collections, accessed April 24, 2019, http://www.lib.luc.edu/specialcollections/items/show/1937.